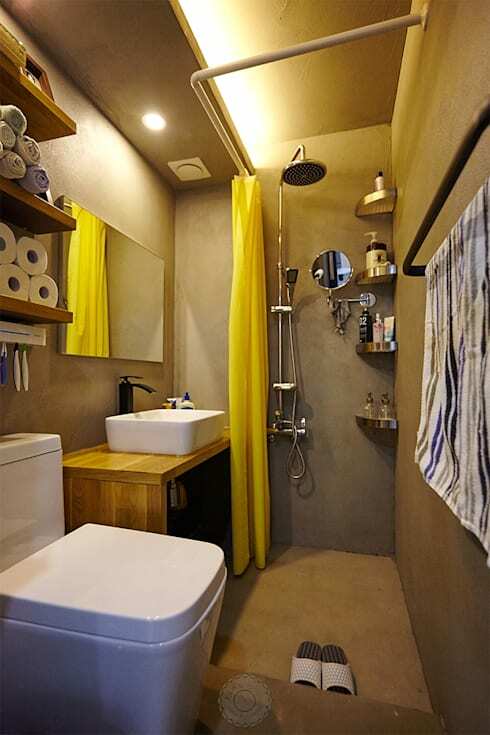 It can be very hard to keep the clutter at bay in a tiny bathroom. Little tubes and tubs of beauty products tend to accumulate over time and before you know it, you have one very messy little bathroom. This isn't just a spatial problem, it's also an aesthetic one. 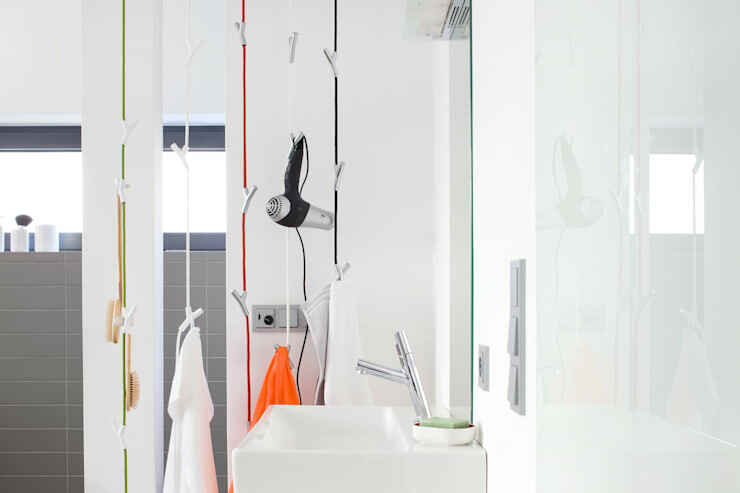 Bathroom products are emblazoned with a clash of labels that can turn the most carefully designed bathroom into a visual mess. This will make your small bathroom feel tiny and that little bit more chaotic. The space above the toilet is often left to waste. Mount a few open shelves and use them to store extra toilet paper, air refreshers or just a couple of extra hand towels. 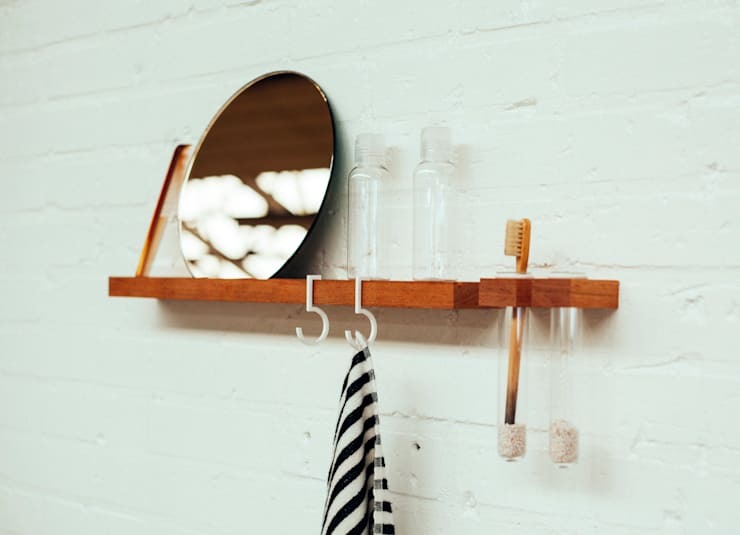 Nothing will make your bathroom look more cluttered than mess, and we're all guilty of rushing in the morning and leaving things lying around. Add a simple open shelf above the sink and use it for everyday items. Then move everything else into closed storage. If you don't have space for a towel rack, add one to the back of the door. 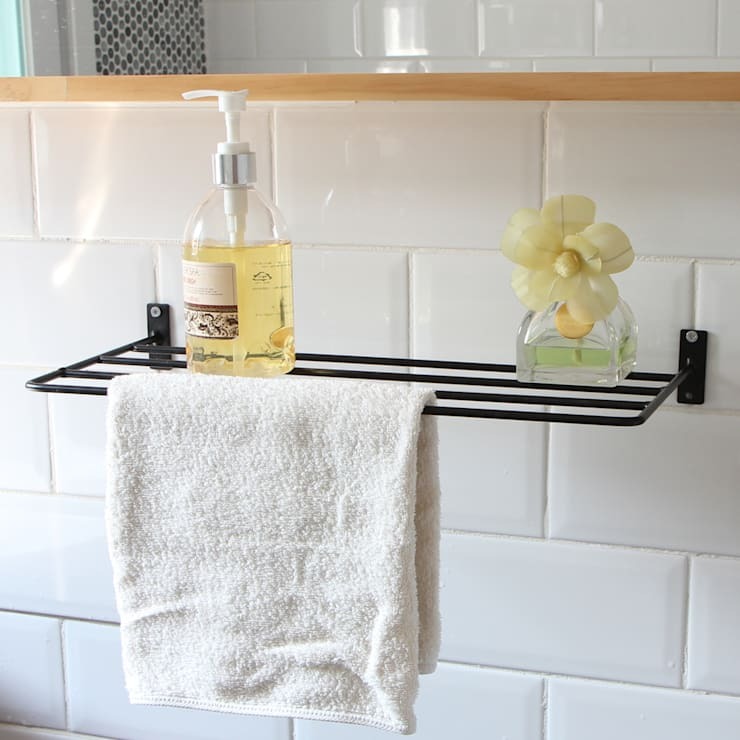 Even better, look at investing a little fold out towel rack like this one by Woodrock designers. It could work on almost any wall in the bathroom. There is nothing worse than wasting a deep shelf on a clutter of little cosmetic tubes. 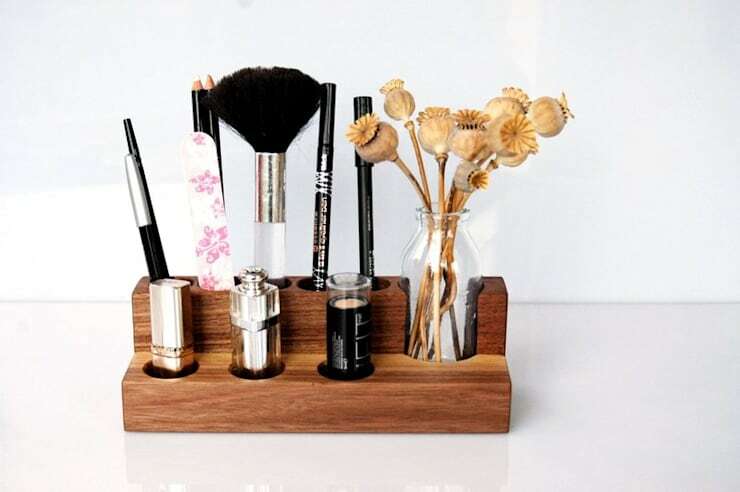 Just get an awesome little cosmetic stand like this one by Blumen-weise. It will make you feel like royalty! The space above the bathroom door is often wasted. 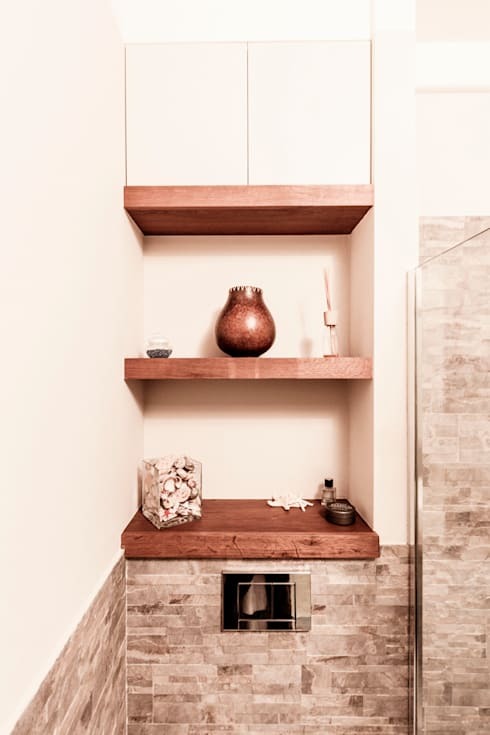 Install a couple of simple shelves and use them to store extra supplies or towels. You could even add a small plant or two for some greenery. If you don't have a bathroom cabinet under the sink, don't let that space go to waste. 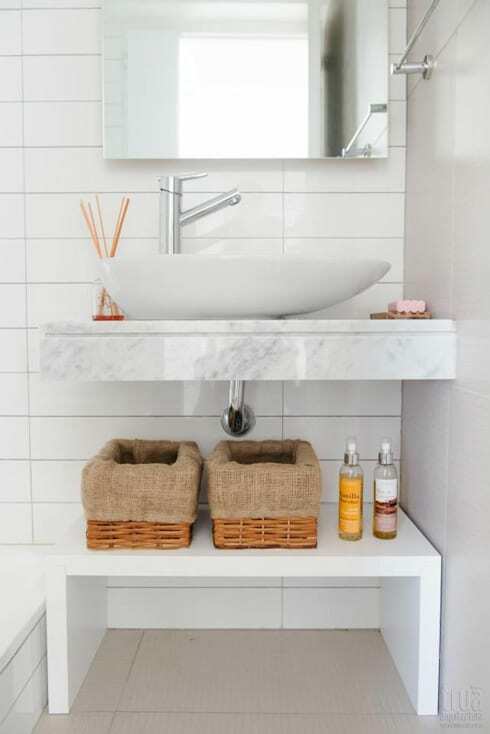 Find an organiser designed to go around the plumbing or just add a low stand like this with a couple of baskets. Use every inch of your cabinet space carefully! 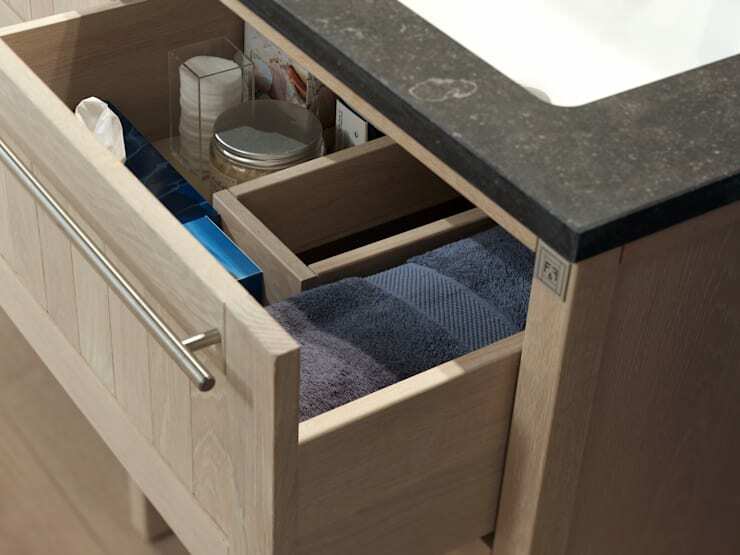 A great inner organiser or drawers inside your cabinets will make all the difference. Mirrors always make a room look larger, so there's no harm in turning a large wall mirror into a very shallow cupboard. It will hide all that clutter from sight and make your bathroom feel serene! 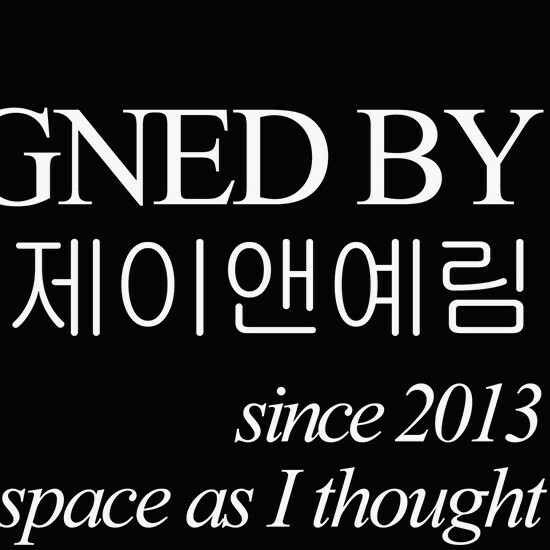 Bathrooms are full of unused narrow spaces. Look at the slim spaces around the sink or toilet and think about how to put them to good use. 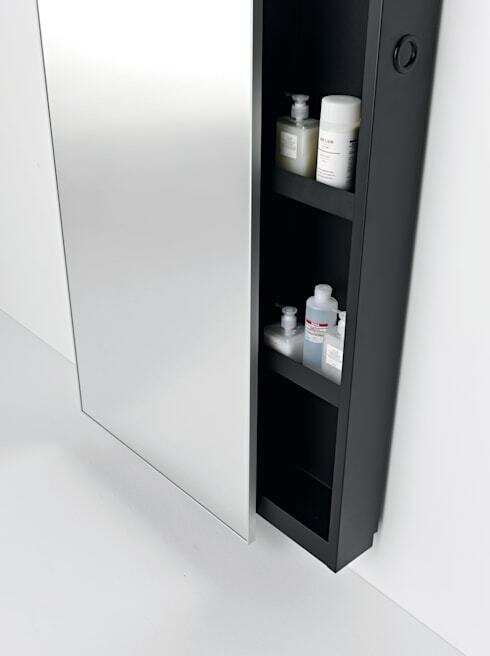 A very narrow wall or floor cabinet can hold an incredible number of small bathroom accessories. Turn it into a DIY project and really make the most of that space! Vertical space can also be utilised. You could even invest in some great string storage like this and use some cool hooks to create a display out of your favourite items! While you're thinking about maximising your space, you'll probably want to read 11 ingenious ways to save space in a small home. Let us know which one of these small bathroom tips is your favourite! Just use the comments field below.